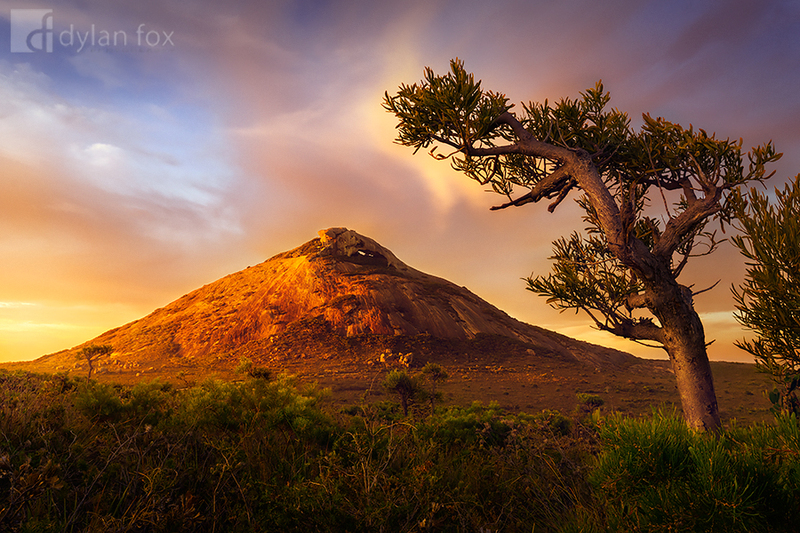 Frenchmans Peak was certainly on my list of locations to photograph and I had a rough composition idea in mind. I scouted out this composition earlier in the day and was stoked to have found it. I also got some stunning light to compliment the scene. Nice soft clouds and warm light hitting the peak and filling the slight valley between it and myself. It really was stunning. What was a little unnerving about this shoot was just as I got to this spot and had to walk into the shrubs, I had seen a snake slither into them too... Never what you want to see. Frenchmans Peak also has a natural arch at its peak, which can be seen in this photograph, that gives great views of Cape Le Grande National Park and its beautiful beaches. This photograph was featured in Australian Geographics ANZANG photographic exhibition in the South Australian Museum. Secure your limited edition, Frenchman Peak photographic print, 'To Be Free', by selecting your desired print size in the menu to the right.